At least 12 people have been killed and 45 injured, some of them seriously, in twin suicide blasts in the Syrian city of Homs, SANA News reports, citing the city’s governor. A car and a motorcycle exploded in the Mukharram al-Fawqani area in the eastern part of the city, Homs Governor Talal al-Barazi told the agency. "The number of victims can rise, due to serious injuries,” he added. Unconfirmed reports said the death toll may be as high as 12, while some 60 others may have sustained injuries. 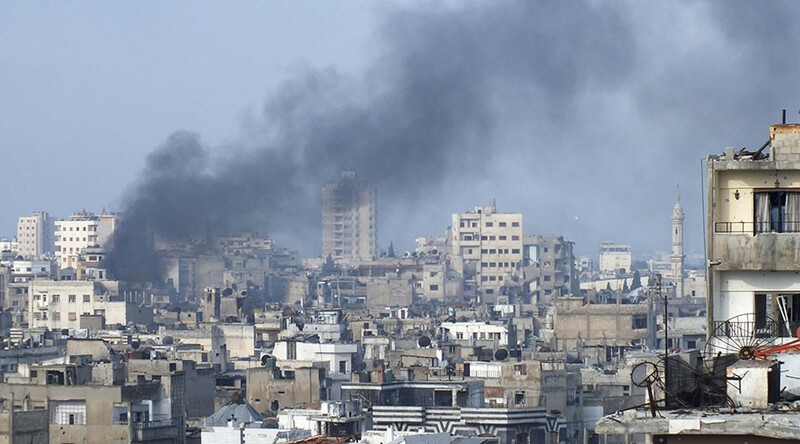 Before the February 27 ceasefire, Homs was a frequent target for attacks by Islamist forces. In February, dozens of people were killed and injured in a double bombing attack in the city. Islamic State claimed responsibility for a bombing in Homs in January, which killed at least 24 people. Another attack in December claimed 32 lives. The ceasefire, which does not include terror groups, has at times been endangered in the war-stricken country. On Tuesday, a hospital in Aleppo was attacked by a rocket, killing at least three people and injuring more than a dozen, SANA News said, adding that women and children were among the casualties. The facility was under the control of government forces, and was targeted by a radical rebel group. Following the deadly attack on the hospital, the UN Security Council adopted a resolution on the protection of civilians in armed conflicts. The document demands the protection of hospitals in war zones.